Book cabaret magicians "Norvil & Josephine"! 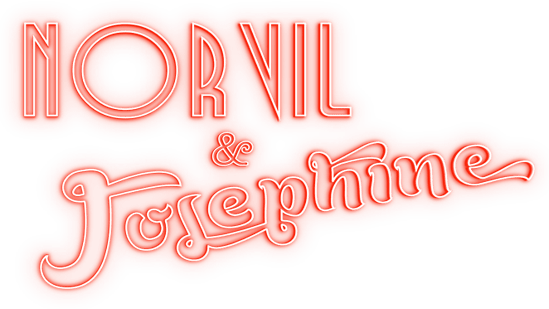 The unforgettable and entertaining cabaret magician duo Norvil & Josephine present their work throughout the UK and internationally. You don't need a cabaret stage, as the act is just as effective when presented on a dance floor or similar clear performance area. You can check the cabaret magician home page for the video, photos and lots more info. This act is unique because, apart from incredible cabaret magic, they mix in entertaining demonstrations of acrobatics and singing, so the audience never knows what’s coming next. They’ve taken their show around the world and on live television and it never fails to impress and entertain. WHY HIRE THESE CABARET MAGICIANS? Their award winning fun-filled act has received critical acclaim and is perfect if you're looking for a cabaret magician show to dazzle at your event or cabaret. Magicians with their expertise and experience always go down a treat. This show has been going for over ten years which means you get their combined experience and confidence you’ll hire a professional show no matter what your setup. This magician show is also ideal because of their flexibility to draw from their repertoire and custom craft you a routine that will shine in your venue, and work around how much space you have or technical facilities that are to hand. Click on the cabaret magicians main page for lots more information on how Norvil & Josephine could appear at your event to present something special that your audience and guests will talk about for years to come.